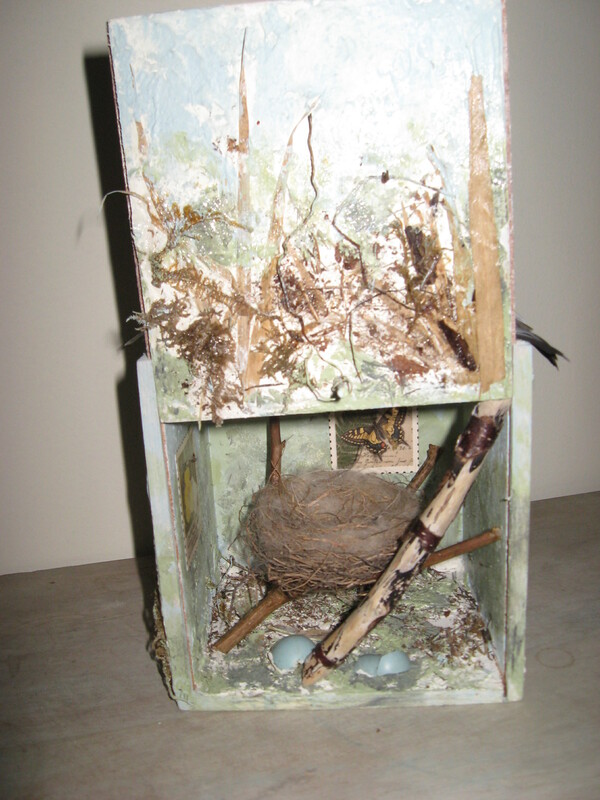 Here are 2 new pieces I have entered in the Nests show at the Target Gallery in Virginia. 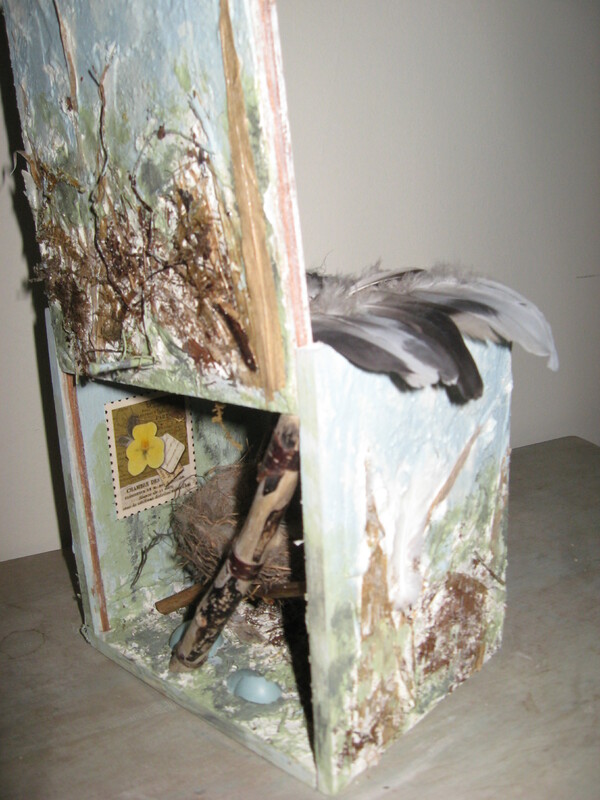 Another show I will enter is ‘It’s All About Love’, at the Sidney and Gertrude Zack Gallery, Jewish Community Centre, May 12-June12. 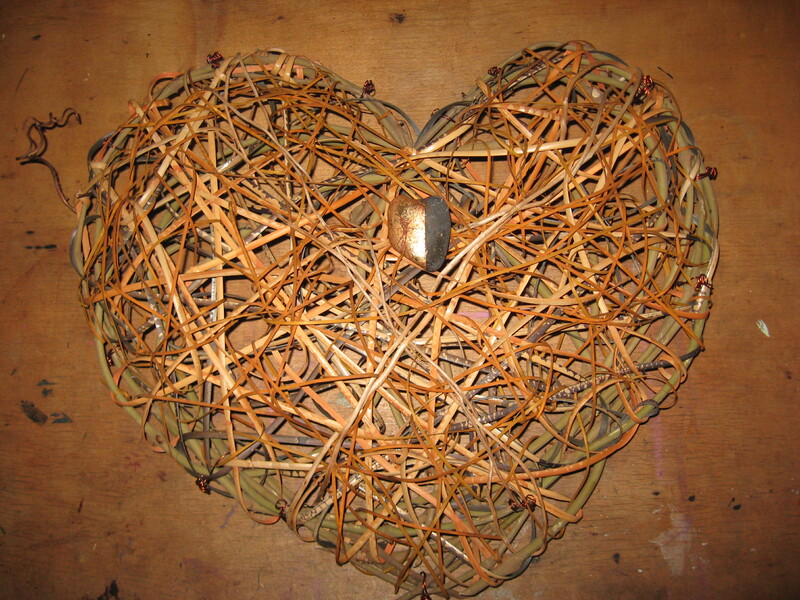 This is a random weave heart with grapevine, cane, peeled spruce root, and a heart shaped stone with gold leaf. Wow. Really stretching your wings!